Stenheim은 ​​2년간의 연구 개발 끝에 2011년에 첫 번째 모델 Alumine시스템을 출시한바 있다. 컴팩트형으로 알루미늄 재질로 만든 스피커시스템으로 동사의 레퍼런스 모델로 제작되어 시간이 지남에 따라 서브 우퍼가 있는 전 범위 시스템을 포함하도록 발전했다. 창업 이래, Stenheim은 스위스가 명성을 얻고 있는 뛰어난 품질과 뛰어난 품질을 구현했으며 스위스 전통의 정밀 가공 기술의 전통과 장인과 최신 음향 분석을 살린 제품 제작을 할 자세로 지금까지의 스피커 설계의 기초를 발전시킨 독창적인 제품을 출시하고 있다. 그들은 알루민(Alumine)디자인의 2웨이 방식 2종류의 신제품을 발표한 후 2015년도 뉴 모델로 개발한 마루형인 모델 Reference시스템을 내놓았으며 2016년도에는 Alumine FIVE시스템을 소개하고 있다. 오늘 소개하고 있는 모델 Alumine Three시스템은 사진에서 보여 주고 있듯이 4개의 드라이버를 장착시켜 만든 마루형으로 스위스에서 제작되었으며 오랜 연구와 오디오 애호 기술에 대한 탁월한 지식의 산물이다. 다시 말해 수상 경력에 빛나는 모델 Alumine Five시스템의 노하우를 답습해 만든 제품이다. 이전 모델과 마찬가지로 모든 알루미늄 모델이며 매우 높은 효율을 포함하여 핵심 기술 사양을 공유하고 있다. 모델 Alumine Three시스템은 특히 음악가와 음악을 위해 최첨단 기술을 채택해 만들었다. 소리를 듣고, 목소리의 모든 뉘앙스를 감지하고, 손을 만지거나 움직이거나, 음악가의 감정과 감정을 모두 느껴 보게 됩니다. 다시 말해 음악을 현실로 만들어주기 위한 디자인에 초점을 맞췄다. (The exceptional quality of the Alumine Five in a compact format. 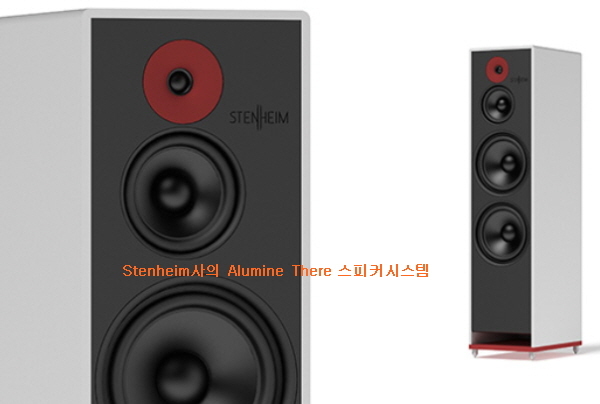 With the ALUMINE THREE, STENHEIM has distilled the exceptional quality of its world-renowned ALUMINE FIVE speaker into a compact housing, creating an even more accessible music experience for audiophiles and music lovers. Its design takes inspiration from the ALUMINE FIVE, STENHEIM’s multi-award-winning speaker. Like its predecessor, it is an all-aluminium model and shares its core technical specifications, including extremely high efficiency. It can also be combined with high-quality bass amplifiers. However, the ALUMINE THREE’s more compact housing sets it apart, enabling extremely high performance at a lower price point. Some manufacturers focus on the senses, others on technology. STENHEIM’s approach combines the two because we understand the impact of physical constraints on subjective listening quality. The ALUMINE THREE adopts cutting-edge technology specifically for the benefit of musicians and music. It plunges you into the heart of music as if you’re listening to it live. Listen to the notes vibrate, detect every nuance of the voice, touch or bow movement and feel all of the musician’s feeling and emotion. 동사의 모델 Alumine Three시스템은 모델 Alumine Five시스템의 탁월한 품질을 소형화시켜 오디오 파일들에게 보다 쉽게 ​​접근 할 수 있는 시스템으로 제공하기위한 제품이다. 스위스에서 제작된 이 제품은 오랜 연구와 오디오 애호 기술에 대한 탁월한 지식의 산물이다. 이전 모델과 마찬가지로 모든 알루미늄 모델이며 매우 높은 효율을 포함하여 핵심 기술 사양을 공유한다. 고성능의 하이엔드 설계의 앰플리파이어와 이상적으로 사용 할 수가 있는 보다 콤팩트한 시스템으로 낮은 가격대에서 최고의 성능을 발휘할 수 있도록 한 것이다. 일부 제조업체는 감각에 중점을 두고, 일부는 기술에 중점을 두는데 동사는 특히 음악가와 음악을 위해 최첨단 기술을 채택했다. 다시 말해 음악을 현실로 만들어주기 위해 디자인되었다. 이것은 청결한 라인과 가벼운 중립적인 그늘을 지닌 시대를 초월한 세련된 디자인에 반영되었다. 순간적인 추세를 무시하고, 모델 Alumine Three시스템은 계속 음악 듣기 즐거움을 재발견 할 수 있도록 만들어졌다. 설계방식: 3웨이 4유닛 구성 마루형. 스위스의 오디오시스템 제조 전문 메이커로 Rudolf Kraske에 의하여 설립되었으며 초기에는 오디오용 각종 제품들을 개발 소개했으나 최근에는 가정용 하이엔드용 스피커시스템을 개발 여러 종류를 선보이고 있다. 동사가 소개한 모델 Cinema LTM시스템은 사진에서 보여 주고 있듯이 멀티 드라이버 구성 시스템으로 지난달 미국에서 열린 AXPONA 2019에서 그 모습을 보여 준바 있었다. "Nirvana B" 시청실에서 VPI Industries사 제품을 비롯해 Van den Hul, EMM Labs, FalkenOhr 및 Kimber Kabel과 함께 전시회를 찾온 오디오 파일들에게 관심을 끌게 한바 있었다. 라인 얼레이 인클로저(Line Array Enclosures)디자인 방식이다. 중저음용 드라이버는 밀폐형으로 그리고 고음용 트위터는 분리시켜 일직 선상((optimized for low-compression))에 나란히 부착되어 있다. 또한 초저음용 서브우퍼 드라이버들도 같은 방식으로 내장시켜 놓고 있다. 고음용 트위터는 텍스타일 돔형으로 네오디늄 마그네트로 제작되어있는 22mm구경 32개를 그리고 중저음용 미드 우퍼는 4“ 구경으로 fiber-glass 코팅되어 있고 네오디늄 마그네트, low-loss 서스패션 드라이버 14를 부착시켜 놓았다. 인클로저 사이드에 부착되어 있다. 시스템의 크로스 오버는 Passive proprietary 3웨이 필터, 코일 Mundorf사의 CFC 에어 코어(air-core)로 제작되어 있다. (Subwoofer: 4 x 12 "aluminum cone, double ferrite magnet, 60mm stroke, Crossover: Passive proprietary 3-way filters, coils: Mundorf CFC air-core). passive filtered 3-way floor-standing speaker, with line-array technology. Each speaker comes with 32 ring radiator tweeters. A textile membrane with a diameter of 22 mm was installed in a special, extremely compact housing with neodymium drive. This allowed us to mount the tweeters extremely close to each other, which is absolutely essential for a high-performance line array. The distance is only 0.7 mm. In addition, four passive 12 "subwoofers with almost 60 mm stroke are installed per loudspeaker. Thanks to our proprietary crossovers, the unique 4" mid-woofer and the special tweeter design, we were able to create a loudspeaker with incredible dynamic range, whose distortion values ​​are extremely low. 영국 Durham에 위치해 있는 스피커시스템 제조 전문 업체로 오랜 역사를 자랑하는 메이커인 Neat Acoustics사가 개발 소개하고 있는 모델 Ultimatum–XL6 스피커시스템. 동사는 1995년 Bob Surgeoner에 의해 설립되었다. 축적된 아이디어와 전문 지식의 최상의 특성을 제공하기위한 타협 없는 디자인으로 시작되어 개발은 ​​수년에 걸쳐 이루어졌다. 처음에는 하나의 모델로 생각되었지만, 프로토 타입은 6 년 후 Ultimatum MF9스피커시스템의 몇 가지 디자인 큐(design cues)를 추가했다. 슬림형,150cm 높이의 인클로저. 별도의 캐비티가 있어 각 드라이브 유닛을 확장된 가상 동축 방식인 D'Appolito 배열로 수용했다. 각 캐비닛에 4 x 168mm 주 드라이브 장치를 사용하여 드라이버 구성은 지점 소스를 시뮬레이션 하도록 설계되었다. 모델 Ultimatum MF9 시스템은 2001년에 대단한 비평과 국제 상업 성공을 위해 출시되었다. 곧 이여 120cm 높이의 MF7을 내놓았고 이여서 100cm MF5, 스탠드 마운트/북 셀프형 모델 MFS로 이어졌다. 이 모든 버전은 Ultimatum 모델을 세계 최고의 제품으로 만든 원칙에 부합했으며 원래 라인업은 최근에 개발한 'XL'버전으로 업그레이드되어 성능의 모든 측면을 개선시켜 놓은 것이다. 이번에 소개하고 있는 모델 Ultimatum XL6 스피커시스템은 사진에서 보여 주고 있듯이 인클로저 상단 쪽에 2개의 EMIT사의 티타늄 돔형 25mm구경 평판/리본형 트위터를 배치해 놓았다. 또한 인클로저 전면 배를 판에는 대형 26mm구경의 Sonomex Domed XL 슈퍼 트위터를 중음용과 나란히 부착시켜 놓았다. 이 중저음용 알루미늄 페이즈 프라그(Aluminium Phase Plug)디자인의 페이퍼 콘 드라이버로 동사가 자체 개발한 168mm 구경이다. 인클로저 안쪽에는 역시 동사가 개발한 페이퍼 콘 드라이버 168mm 구경 저음용 우퍼 2개가 내장되어 있다. 이 시스템의 설계 특징은 프로젝트를 표시한 모든 원칙을 준수하고 지속적인 성공을 거둔 마루형 디자인 시스템이다. 혁신적인 배플-디커플링 기술,'isobaric' 베이스 로딩 및 트윈 EMIT 리본형 슈퍼 트위터 사용한 점이다. 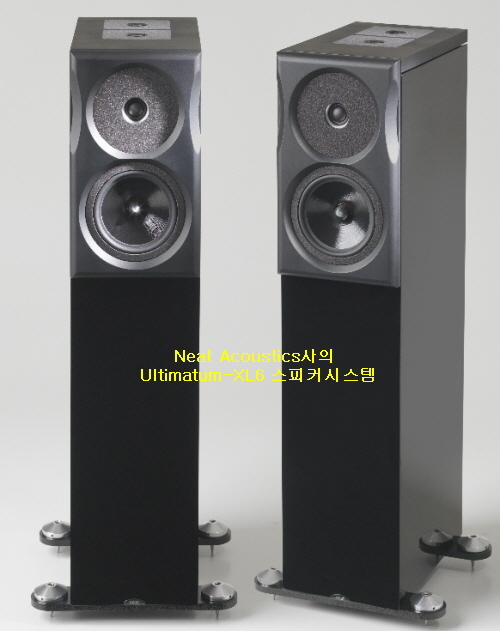 모델 Ultimatum XL6 스피커시스템은 평생 음악적 즐거움을 약속할 수 있는 제품으로 개발되었고 인클로저는 각각 목적에 맞게 최적화된 5개의 개별 내부 캐비티로 구성되어 제작되었다. 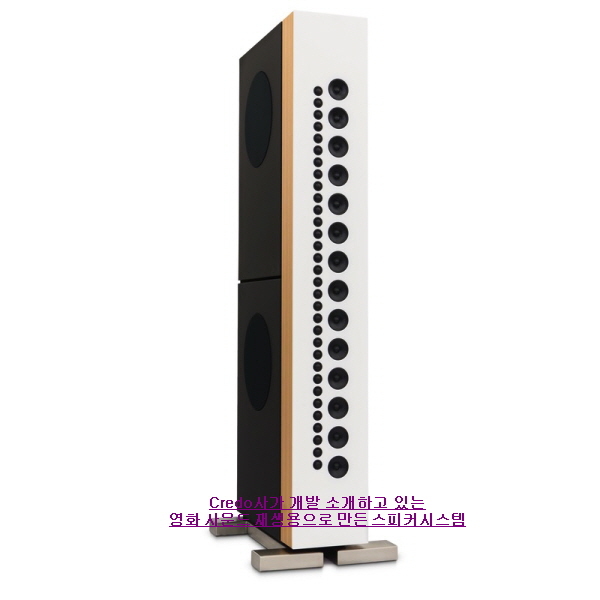 저음용 베이스(Bass)와 중저음용은 튜닝에 적합하도록 구성되어 있으며 HF 캐비닛은 강성을 높이기 위해 중저음 미드 베이스 드라이버의 후면 압력은 트위터의 뒤쪽 챔버에 좋지 않은 영향을 받지 않게 하기위해 두개의 EMIT 슈퍼 테스터도 마찬가지로 격리시켜 놓았다. The Ultimatum XL6 loudspeaker is a floorstanding design which adheres to all the principles that have marked out the ULTIMATUM project and given it such enduring success. The ultra-rigid birch-plywood enclosure, innovative baffle-decoupling technology, ‘isobaric’ bass loading and use of twin EMIT ribbon-type super-tweeters are employed here to deliver the ULTIMATUM promise of a lifetime of musical enjoyment. The enclosure comprises five discrete internal cavities each optimised for purpose. The Bass and Mid/Bass volumes are large to suit the tuning while the HF cabinet is small to increase rigidity and to stop back pressure from the Mid Bass driver adversely affecting the rear chamber of the tweeter. 멀티 챔버, 멀티 드라이버 얼 레이 구성 방식.